Last week I was at my son’s preschool participating in a literacy workshop. It’s unusual for me to be on the “learning” side of a workshop vs. the “teaching” side, but also so much more relaxing and fun. I love LOVE learning new things, and I’ve been around long enough to know that there is always more to learn no matter how much I think I know about something. I left with new resources and a renewed belief in the vital importance of early literacy. One valuable skill for early literacy is sequencing (find my resources on story sequencing here), another is dictation—being able to retell a familiar story. The first educational philosophy I studied when I started homeschooling was Charlotte Mason. Her gentle approach, use of real books, focus on experiencing nature all resonated with me. An essential feature of Charlotte Mason is dictation, or demonstrating comprehension by retelling what was read. How does a pre-verbal or, in our case, largely non-verbal child retell a story? With puppets, of course! 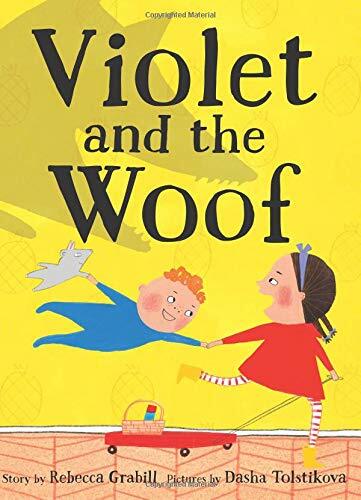 And so I’ve created a set of Violet and the Woof stick puppets—complete with a puppet stage. Print (card stock is best for this), cut, paste onto craft sticks to retell the story of Violet’s adventure again and again. And be happy knowing you’re helping develop the love of literature and early reading skills. Download the Violet and the Woof (aka Urban retelling of Little Red Riding Hood) Puppets! Download the PDF here or tap the image above.